There is no end to the fun your child can have with the awesome parks and programs offered in Mill Creek! From top-of-the-line sport complexes to unique class offerings, there is something for every age, interest, and skill level. 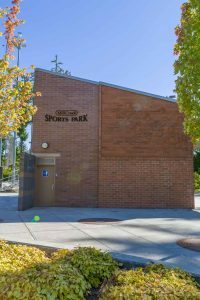 If you’re looking for a spot for your kid’s next sports game, check out the Mill Creek Sports Park. 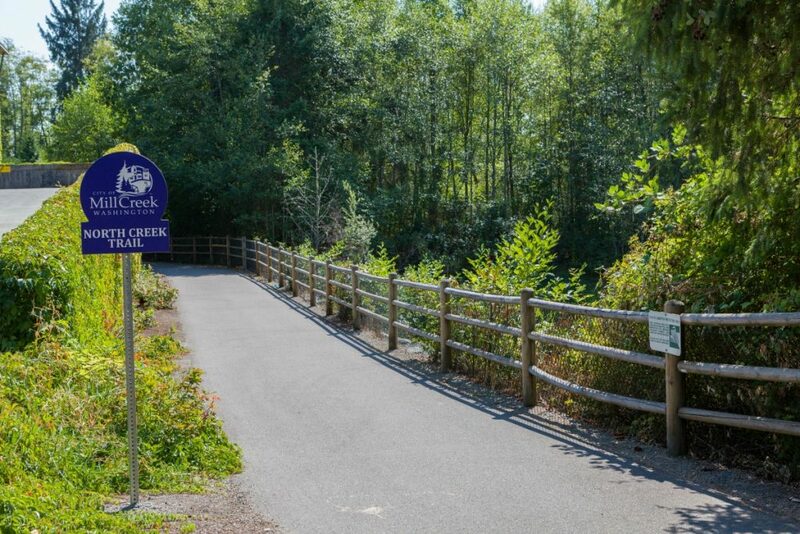 “The Mill Creek Sports Park is located at the corner of Bothell-Everett Hwy. and Trillium Blvd. and is the location for a fantastic mixed-use sports field that is used by both soccer and baseball/softball,” shares Travis DeFries. “It is a turfed field, so a little bit of rain doesn’t cancel games, it has lights to be able to play up until 10 PM and it even has a snack shack and announcers booth!” With other amenities like a Tot Lot and picnic tables, the whole family can enjoy the great outdoors while cheering on the home team. Another popular feature of the Mill Creek Sports Park comes recommended by both Travis and Tonya Tye. 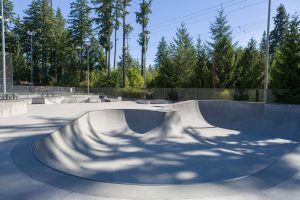 The Mill Creek Skate Park offers a wide range of bowls as well as an innovative street course that consists of several sections tied together, an 8-stair down rail, and much, much more. 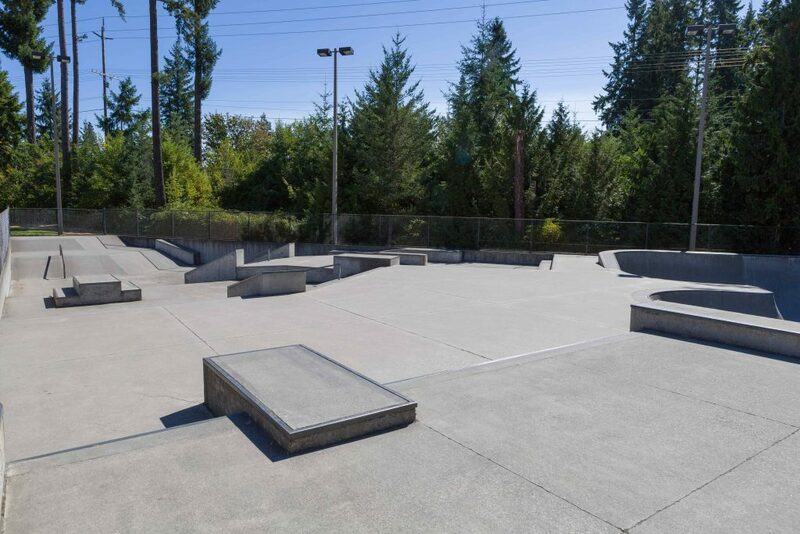 Whether your kid’s a beginner or a seasoned skating pro, he or she will find the perfect challenge at this local favorite spot. If your 5-18 has expressed interest in baseball or softball, sign them up for Mill Creek Little League this year! When it comes to spending fun, quality time with your little one, no place beats the Giggle & Wiggle Playscape. This local indoor playground features soft equipment that gives kids the chance to jump, climb, run, and tumble, and develop motor, coordination, and balance skills in the process. Get your kid away from the screen and into some real-world adventure today at Giggle & Wiggle. If your child loves being on stage, they will love the opportunities that await at Applause Studio. Varieties of dance, musical theater and acting, and other great classes teach students the fundamentals of performing and help them to build confidence and stage presence (all while having fun). 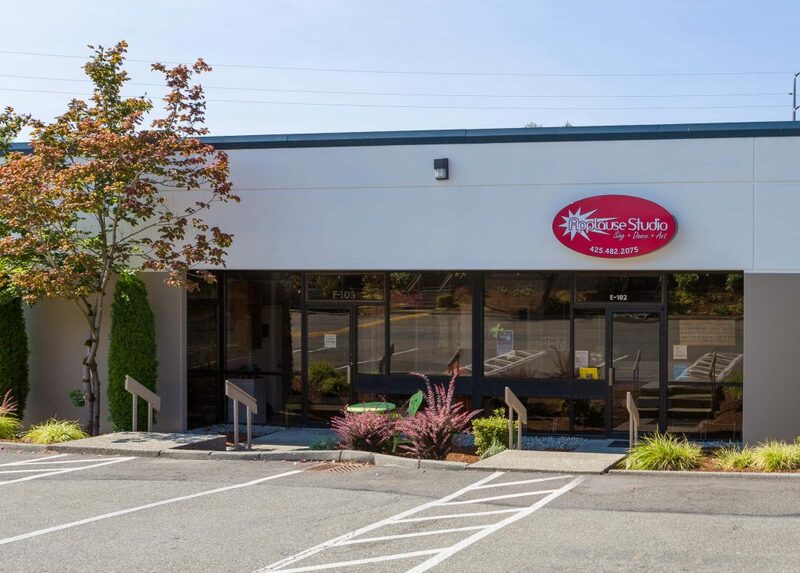 With a free trial class offered for all new students, there is nothing to lose by checking out this fun spot! Summer may be winding down, but that doesn’t mean the summer fun has to! At SafeSplash Swim School, kids get the opportunity to learn how to swim in a safe, state-of-the-art environment from passionate instructors who know how important swimming is for a child’s lifelong safety, development, and confidence. No matter what level your child is at, there is a lesson tailored to his or her needs with individualized attention and top-notch customer service that makes SafeSplash unlike any other swim school around. 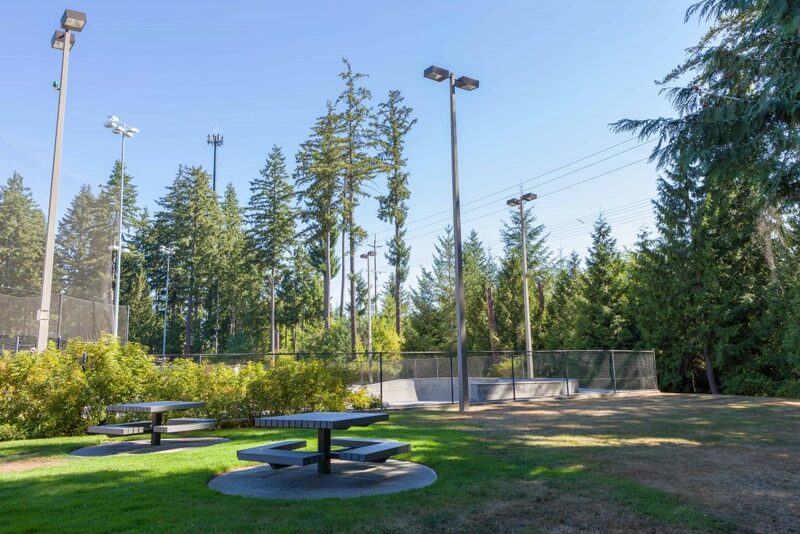 Mill Creek certainly has no shortage of great local parks with playgrounds that kids will love. Buffalo, Cougar, Heron, Highlands, Hillside, Library, Nickel Creek, Pine Meadow, and Silver Crest Park all offer playgrounds perfect for climbing, sliding, jumping, and running off some steam while parents enjoy some much-needed relaxation time at a picnic or open grass area. Click here to learn more about these parks and to find the one closest to you. 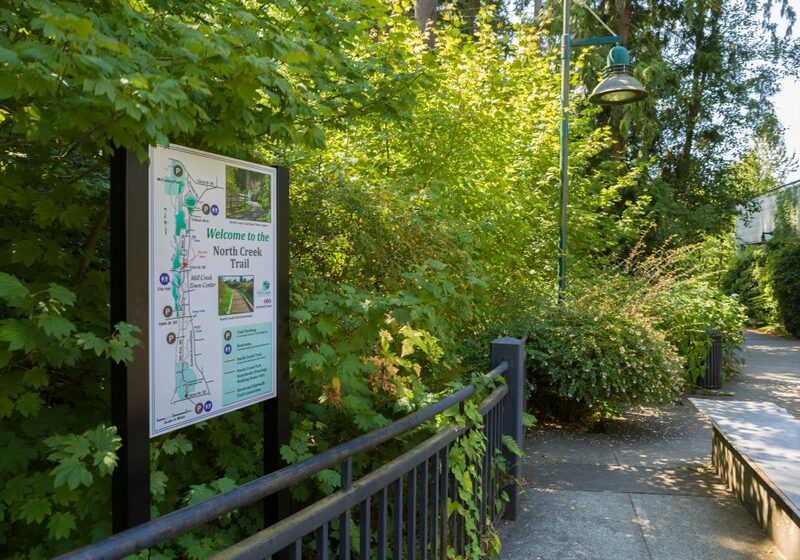 According to Tonya, “there are some nice walking trails near the downtown area and around Village Green Drive.” One of these trails is the scenic North Creek Trail, which links the cities of Mill Creek, Bothell, and Everett. Filled with lush plant life, a serene duck pond, and other natural beauties, this trail provides the perfect opportunity for you to get your kids off the couch, active, and making meaningful connections with their local environment. Sports lovers will have even more to enjoy in Mill Creek near the end of this year. “Just down from Mill Creek Sports is the new Arena Sports complex that is scheduled to open this Fall,” says Travis. “It is a 98,000 square foot facility that will include a full family entertainment center destined to be the go-to-destination for parties, special events, group activities and more. Activities include an indoor inflatable playground, bowling (both full-size lanes and mini five-pin lanes), multi-floor laser tag arena, rock climbing tower, two-story ropes course, 100 arcade games, on-site dining and two indoor soccer fields that can be used for recreational games and practices.” Check out all the info on Arena Sports now because once it’s open, your kids will never want to go anywhere else! 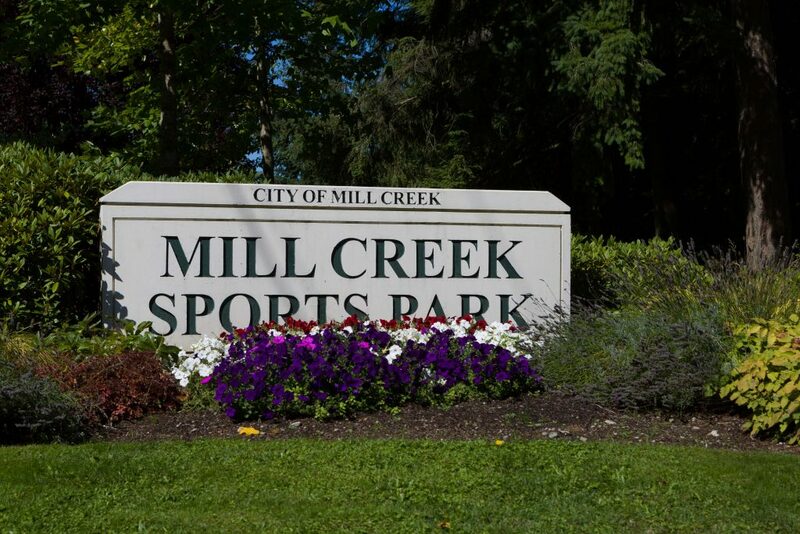 On top of all of the amazing opportunities for sports, education, and fun in Mill Creek, the city itself also offers a wide variety of recreation, seasonal community events, and unique programs for kids. From annual holiday favorites like “Trunk or Treat” or the Santa parade, to innovative cooking, sports, and other creative classes, your children can get off the couch and socialize, learn new skills, and make friendships and memories that will last a lifetime. Registration for fall and winter is now open, so be sure to check out the guide here for a complete list of available programs and upcoming events.